Peak Ski offers you unsurpassed convenience and service. Choose from top-of-the-line, name-brand snowboard rentals and ski rental equipment for skiers and riders of all abilities. 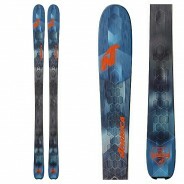 If you had to pick one board to ride, it should be the Rossignol One LF. This directional all-mountain twin is equipped with Lite Frame technology which gives the board full-length shock absorption, playfulness, and ultimate ride control. RadCut with Magne-Traction provides unreal edge hold at high speeds, while the AmpTek Elite rocker profile gives the board pop and response. 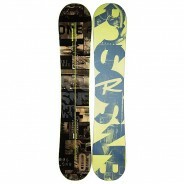 Shred the entire mountain from park to powder on the quiver-killing Rossignol One LF snowboard. 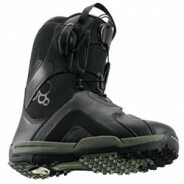 The Symbio features a revolution in snowboard boot lacing technology, Speed Powerlace. The new lacing system cuts down lacing time by 50%. Slip the boot on, one quick pull locks you in, put the handle in the socket, and you're good to go. Yes!... it's that easy. The new Symbio also features a new X-lap liner construction with AutoFit memory foam to give you the fit and confidence you need to progress. 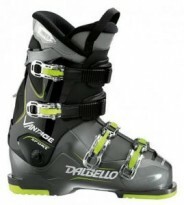 Dalbello Vantage boots work well for beginner to intermediate skiers. This boot provides extra rom for large calves and is one of the only boots with a ratchet buckle for leg closure. 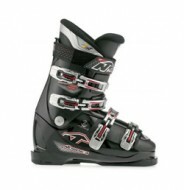 The BMM is a great entry-level boot for beginning skiers looking for a comfortable boot to advance their skills on the slopes. The new Armada Tracer 108 is an excellent option for the aggressive skier looking for a ski that slays the deep yet still charges in bounds. Armada's has created a flex pattern that is easy into a turn, quick to maneuver, and rigid enough to motor through cruddy, sun damaged snow. EST Rocker keeps you floating and smearing while making the Tracer 108 a delight to ride in any condition. The Comp Series Base is the fastest that Armada builds to help keep you gliding as fast as possible because no one wants to get passed on the High-T on their way to some freshies. 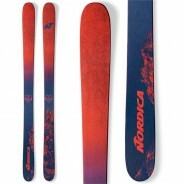 The Soul Rider 87 from Nordica is an excellent freestyle ski that easily holds its own anywhere on the mountain. An 87mm waist stomps big landings, feels nimble when you are greasing a double kink and gives you plenty of support when you are charging around. The All-Mountain Twin camRock Rocker Profile has a rockered tip and tail to add a very playful feeling, with enough grip and rebound to tackle any condition. 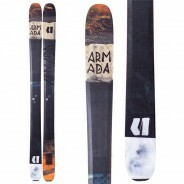 With the Armada Trace 98 Women's Skis you get incredibly versatile performance in a lightweight package. Designed with a hybrid core that blends a responsive flex with minimal heft, the Trace 98 offers easy maneuverability. The EST All-Mtn Rocker provides a stable edge when you need it and easy steering when things get spicy. Whether you're exploring into new zones or ripping groomers at the resort, the Armada Trace 98 Skis ensure you'll come away with a smile on your face. The 2017 Enforcers have arrived and are ready to lay down the law on a mountain near you; get on their good side when you click in and get taken for the ride of your life. Dropping the hammer on variable, off-piste snow with their Hammerhead Nose, while still maintaining an iron-clad edge on the hard pack, the Nordica Enforcer Skis patrol powder, crud and groomers with equal effect. No sacrifices, no excuses, no mercy. 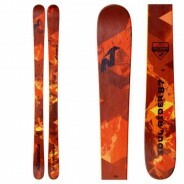 The versatile Faction CT 2.0 Skis were designed for ripping the entire mountain. Whether that's chunder-blasting, cat track mobbing, or you're simply searching for a thicker waisted park ski that you can press and butter, the CT 2.0 will get 'er done. Built with clean lines in a fully symmetrical shape, the 2.0 is ideally suited for freestyling all over the mountain. Just thinking about this ski makes us want to go skiing! Even through the fat-ski craze, the 95mm waist width has proven its worth over time and the K2 Pinnacle 95 Skis are certainly no exception. Incorporating K2's new Konic Technology and a NANOlite core, the Pinnacle 95 achieves high performance in a lightweight and responsive package while K2's trademark triaxial braid construction and metal laminate generate power and stability when you stand on the edges. 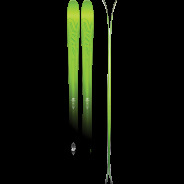 Get sendy, all-day, every day with the all new K2 Pinnacle 95 Skis. Carbon Flipcore construction finally filters down to the 88 mm class, and boy, was it worth the wait. 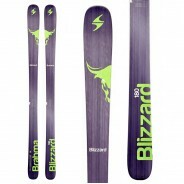 The Blizzard Brahma Skis improve upon the already superb 2016 version with lower swing weight, less mass to vibrate at the extremities, and even more precise hold in turns. Good skiers who know the value of a narrower ski for railing hardpack should be all over this ski; it's easily a podium finisher in the 85-90 mm all-mountain class in anyone's book. Maybe you're looking for a wider platform for surface switchups, or maybe you want an all-around ski that can hang in the morning on the peak and still kill it all afternoon in the park. Whatever your motivations may be, the Rocker2 100 from Salomon will abide. Surf the natural transitions, hit rails, and step to the biggest jumps without worrying about what's on your feet. The Rocker2 features a do-it-all 100mm waist that floats through pow, but remains nimble enough to spin to your heart's content on the three pack in the park. If you're looking to turn the whole mountain into the terrain park, the Salomon Rocker2 100 Skis will carry you through. Do you carry the new Parabolic (shaped) skis for rent in Breckenridge? Find the most convenient and best priced ski and snowboard rentals in Breckenridge Colorado with Peak Ski and Bike. Tune your board, repair dings, get a hot wax or rent ski accessories at our Breckenridge CO ski shop location. 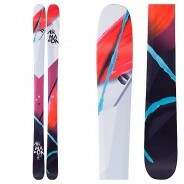 The Salomon Team Snowboard is designed and shaped for a smooth on-snow feel. Forgiving, durable and fun, the Team is designed for today's youngest generation. Let your child run loose on these junior skis. With a hearty side-cut to allow for easy turns and solid construction, the Fischer RC4 will take all that your Groms can dish out and more. A well-rounded ski that will allow your child to ski everywhere on the mountain. Powder? No problem? Hard-pack? Piece of cake. No more worries about the young ones keeping up wiht Mom and Dad. Forecast: Partly cloudy throughout the day, then windy in the afternoon.